When it comes to shopping for a proper watch, this can turn into a real journey. Although there is a wide range of watches you could choose from, you need to satisfy your inner minimalist. A versatile watch can look very stylish on your wrist, and a simple one can do the job just perfectly. For that reason, this article has a list of versatile watches that minimalists will surely love. This watch is inspired by Max Bill’s watch collection, and it offers you a stylish look while providing the simplicity you so much desire. This time-showing little object has a stainless-steel case and self-winding movements. Its design makes it fit for a suit at certain events, but it can also be worn with casual clothing. 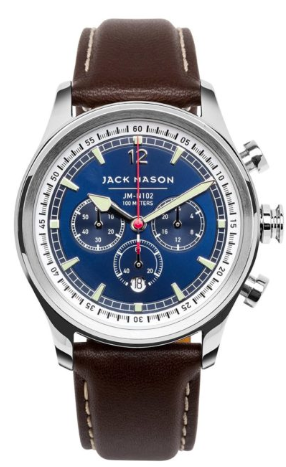 For classic men, this timepiece brings a modern design combined with tradition. It comes with a traditional dark brown Italian leather strap that can be changed with any 22mm Jack Mason strap, making it versatile and pleasant to own. Moreover, it has a 42mm stainless steel case and an easy-to-read dial. For someone who seeks versatility and simplicity while looking stylish, this is the perfect watch. 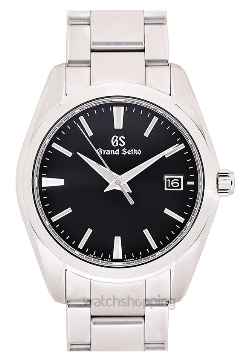 A stainless-steel case – something that shelters Grand Seiko’s clean black dial. This watch not only makes your wrist more attractive, but it’s versatile as well. Although it comes with a sturdy steel bracelet, it can be changed with a leather one. This way, you can offer it a simpler design. The watch can look great in many situations, from an important business meeting to a clubbing weekend with your friends. 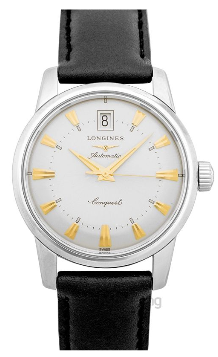 This Longines Conquest Heritage timepiece based on models from the 1950s comes with a variety of case sizes. If you’re into the vintage look, then this watch will satisfy you with its stainless-steel case that houses a mechanical watch with self-winding movement. 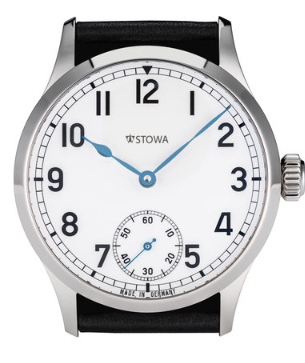 With a more modern look and manufactured in Germany, Stowa Marine Original could be a great companion when you’re going to any event. 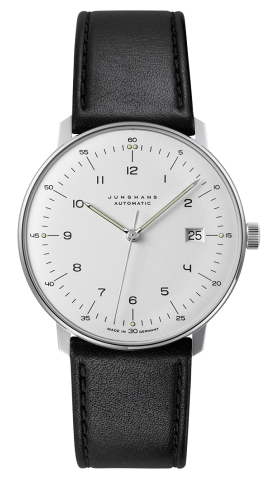 Adding a vintage look to your wrist, this stainless-steel case holds a white dial. It has Arabic numerals that are easy to read, so you don’t have to worry about struggling to see the time. 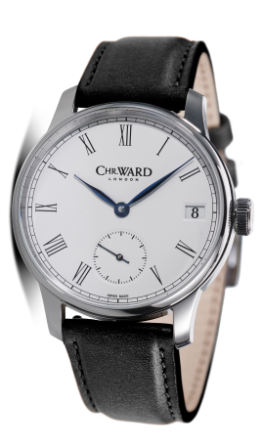 Additionally, it comes with the manual winding Unitas 6498-1, which is a reliable pocket watch style movement that adds to the product’s versatility. With British Origins, this Swiss-Made watch’s movement will make you feel stylish while wearing it. Housed by a stainless-steel case, SH21 comes with a 5-day power reserve. Moreover, the brown strap combined with the blue dial makes it stand out design-wise, and you will fall in love with it and its innovative movement. Elegance, long battery life and great movement – what else could you wish for in a watch? The Horological Smartwatch comes with Motion X technology in the MMT-285 movement. Moreover, the battery life is of 25 months – doesn’t that sound amazing? You won’t have to worry about the battery for two years. Also, if you’re into fitness, you’re going to love it even more. This watch is able to track your fitness goals and can synchronize time with the connected time. Basically, you won’t have to worry about setting the time – it does it by itself. So, if you’re traveling a lot, you will be pleased with this characteristic. 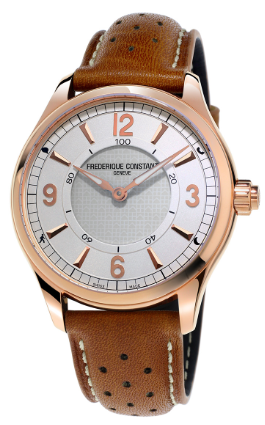 In addition to all these features, it comes with a simple look, having a leather strap and an easy to read dial. Therefore, you can safely wear it at meetings, events or even during a casual day. 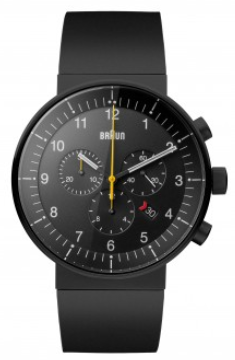 Dieter Rams, the Braun Chief Design Officer, had the amazing idea of joining the world of watches and creating this stylish piece. The brand’s aesthetic and signature are brought by the BN0095 chronograph, coming with a stunning bracelet too. It has a futuristic style while being minimalistic enough to please your eyes. Moreover, the case construction makes it durable. Basically, the one-piece case prevents dust and water from entering the inner case. 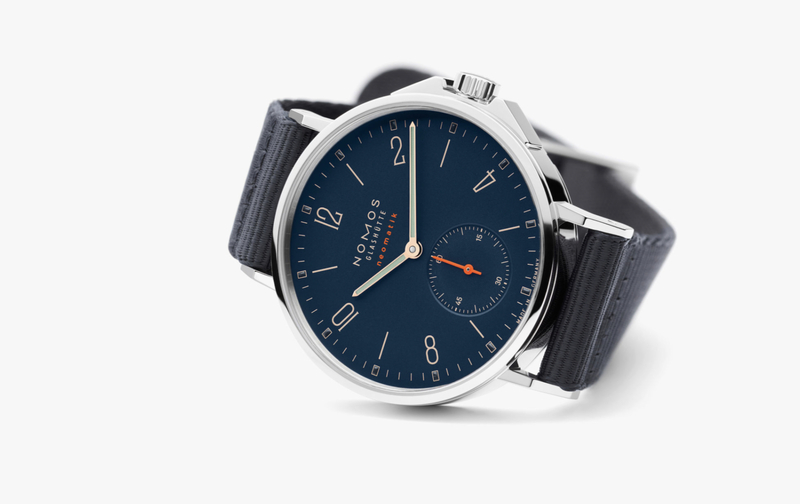 Despite the marine deck watch being one of the oldest watch styles in the world, Nomos did something to renew it by changing the design in a great way. 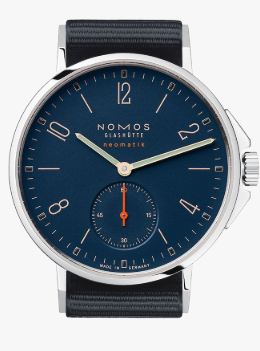 The deep-sea blue dial is a pleasure to look at, and the numbers are very easy to see. Moreover, it has Epsilon movement, and the Geneva stripes give it a unique design, making your wrist attractive whether you’re wearing a suit or a casual jacket. Basically, this watch is a work of art. Are you looking for a simple, versatile watch that also makes you look cool? 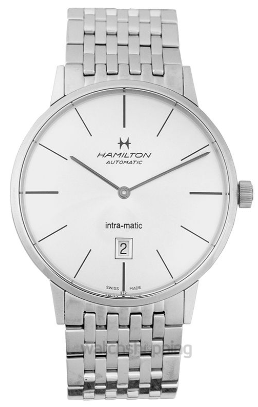 The Hamilton Intra-Matic is at your service. Being available in either a modern 42mm size or a retro 38mm one, you will feel a mid-century vibe wearing this timepiece. It’s dial looks just impressive and it’s powered by an ETA 2892-2 movement. In addition, the rotor has a unique decoration with a wide sapphire case back. You will definitely make a good impression wearing it anywhere you go. Sometimes, it can be really hard to find versatile watches that come with simpler designs. Many products you find come with a cramped design, something that is not for everyone’s tastes. Hopefully we’ve helped you out with some versatile but simple watches that could brighten your life!